New improved edition for 2017. The Brevier Clarendon is a vintage Oxford University Press typesetting, printed on 22 gsm India paper, and includes the full 325 pp Oxford Cyclopedic Concordance, 16 pp Oxford Bible maps and 32 pp feint rule notepaper. Another R L Allan home run. 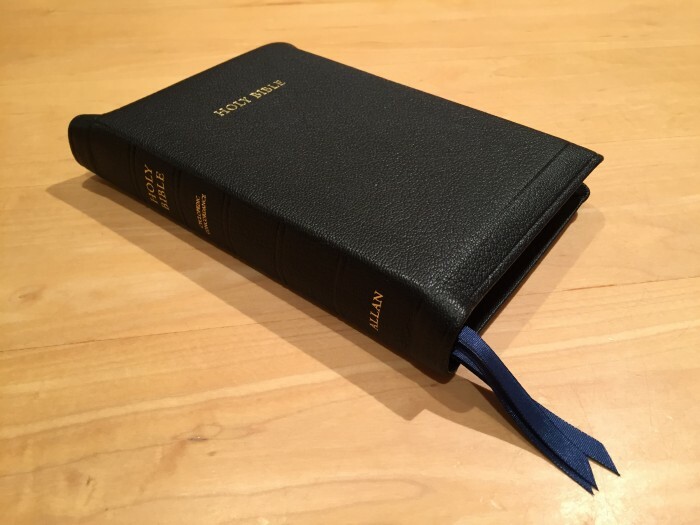 I was mildly hesitant in purchasing this Bible as I have had great results from previous Allan bound highland goatskin versions and wasn’t sure how happy I’d be with a Jongbloed version. 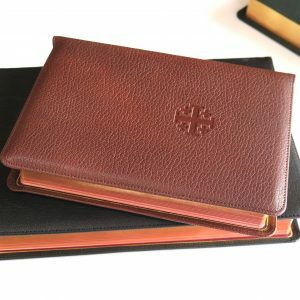 After the binding success of the Canterbury, I figured I’d take my chances as I was looking for a hand held travel and field Bible. The new Allan 7c has fit my needs perfectly. The goatskin is soft and pliable and the leather liner is superior to my last Allan 20BR. The binding is immaculate and the corner work is perfect. The print is dark and consistent throughout the Bible. The pages are thin, but have sufficient opacity for reading without ghosting, although I might hesitate in using some ballpoints or pencils in marking. The art gilt is much more consistent than my previous Allan’s with no “soak through” to the interior of the page edges. The infamous Jongbloed hinge is apparent in this smaller sized Bible and will need some use before completely laying open at Gen. 1. 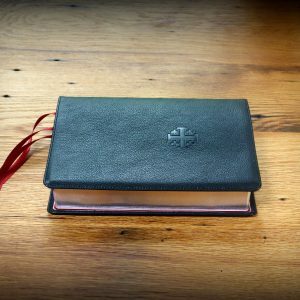 The size is in that slight envelope that is useful for witnessing, reading in the vehicle, or standing in a pew through a particularly long biblical reading. 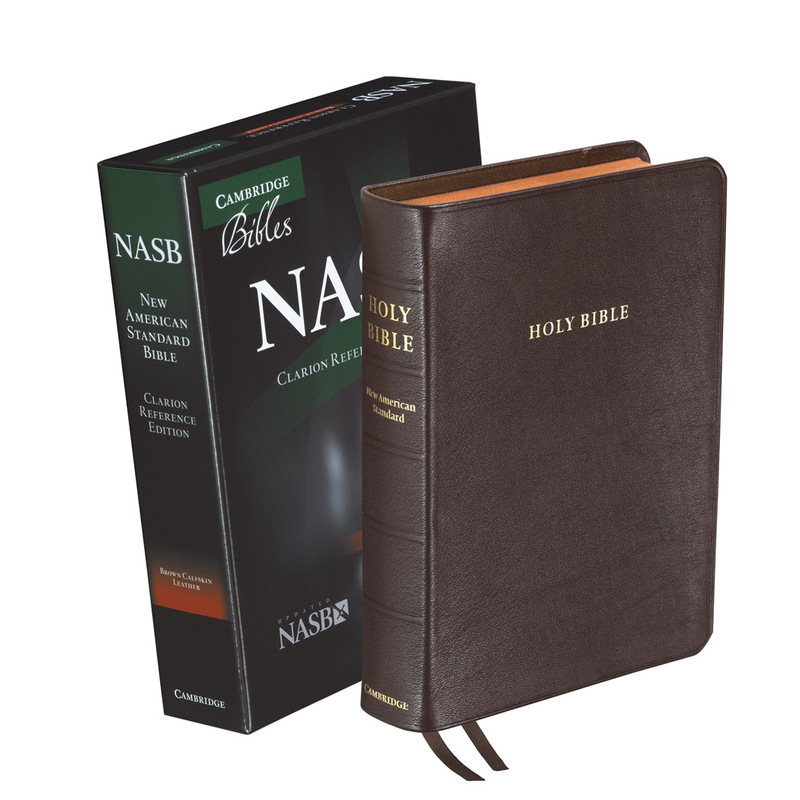 This is a great little Bible that any KJV traditionalist or enthusiast will not hesitate to own or receive as a gift. And as always the folks at EVbible met every expectation at ordering and shipping. This is a great little bible. I use it for soul winning and as my travel bible. 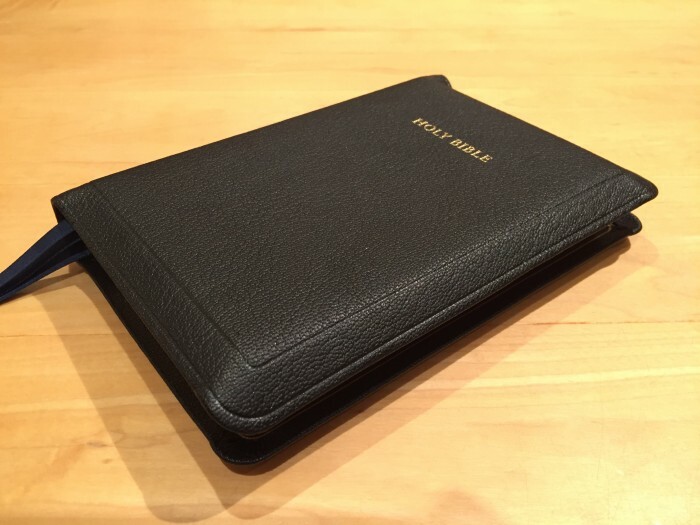 Well worth the price, great print, very functional little bible. 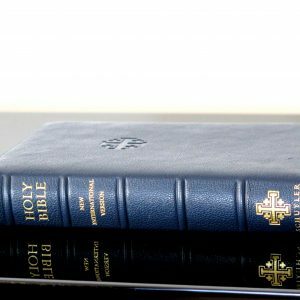 Perfect Bible for church or to use when traveling. It is certainly the most beautifully made Bible I have ever owned. I look forward to purchasing the R L Allan Longprimer 63 when available. Thanks to evangelicalbible.com and Kathleen for their superior and fast service. Ordered 23 August arrived August 28. 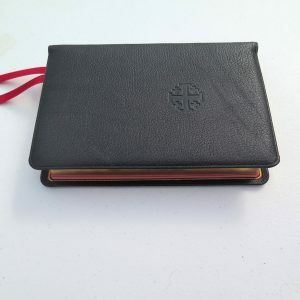 A little smaller than I thought but the goatskin leather is stunning. 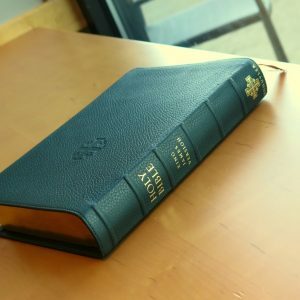 My first premium leather bible and I am in awe every time I open it to study the scripture. Will last me a long time and although a little smaller it is perfect for traveling and going to church. Evangelical.com is amazing and I can recommend them to everyone I meet. Just received mine in the mail today. It has to be one of the nicest bibles I have seen. The paper is thin but surprisingly readable. The perfect companion to my wide margin clarendon. Thanks evangelical bible for the fast delivery! I have already used this Bible and given them all away, but I may keep this one. It is an excellent tool. R.L. Allan needs to work on their ribbon placement. They always seem to be jammed into the spine, behind the head bands. They are always crooked and I always end up cutting them out. If that is their only defect, I can accept it. I do like to give the best, so I hope this one is right. 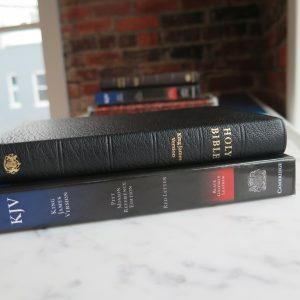 The perfect companion Bible for my favorite KJV Bible the 5 WM. It is built with great attention to detail and is the same materials used on the 5 WM except for the ribbons. Although the ribbons are not thick or wide they are very light weight which is perfect to prevent damage on the thinner 22 GSM paper. All around a GREAT Bible. Great little bible! 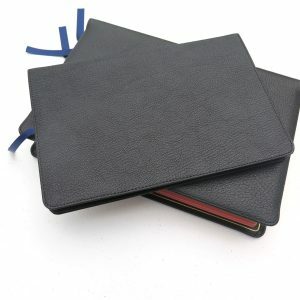 Goat skin is very soft and the binding is very pliant. 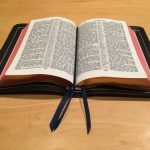 I’d recommend Allan bibles and evangelicalbible.com to anyone. Thanks guys for a great product! A beautiful portable-sized Bible. Intermediate size, larger than the Cambridge Pitt Minion, and similar to the Schuyler personal sized. The paper is not quite as nice as the Schuyler, but the text is still very readable. 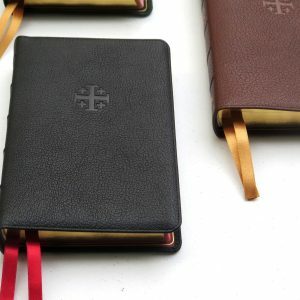 The Allan leather and binding is superior, in my opinion. It smells and feels wonderful, and opens right up. This is my favorite Bible. I love God and His word and this Bible is thoughtfully designed for this purpose to Glorify God and His Word. 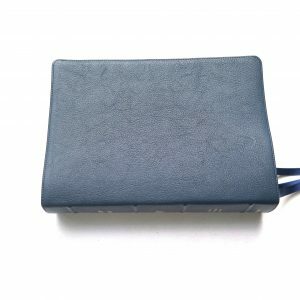 It is one of my favorites and very handy. 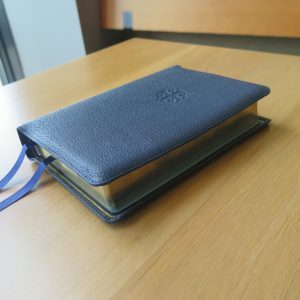 I use it during Bible study to look up references in order to help keep my place, thoughts and meditations as I read other study materials also. In addition, I take this Bible with me easily wherever I may go! which incidently, reminds me of Matthew 11:29-30 “Take my yoke upon you, and learn of me; for I am meek and lowly in heart: and ye shall find rest unto your souls. Verse 30. 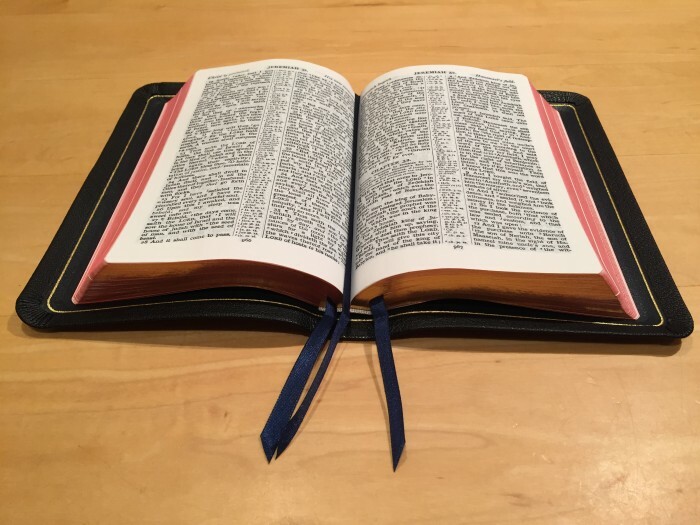 For my yoke is easy, and my burden is light.” I am still awed when every time I pick this Bible up and open this Bible- even have done so just to hold when not studying- Wow, the leather is so touchably smooth, pliable, soft and textured. It is nice. 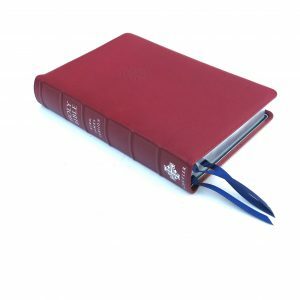 This Bible is portable in size yet easy to read with its bold print. 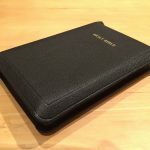 The yap is awesome providing protection to the pages and privacy to its contents (such as the blank pages included in the back) yet is so pliable-flexible. I love the thin paper yet it is definitely quality thin paper and just love flipping these pages and or fanning through them as a whole to quickly find scriptures. This Bible is convenient to carry, and light in weight-a pleasure to hold in my hand to have readily available for scripture readings, memorizations, a rod and a staff of corrections/reproofs for renewal of my thinking-my mind, devotions, study, and utilizing the extensive study helps with the included pictures and diagrams in the back of this Bible. Also, “the pages for notes” is even more blessings on top of all that!!!! I am priviledged to have this Bible. Received my Bible 3 days after ordering it. It is better than advertised. My new favorite Bible. Thank you for your prompt shipping.